Kevin Stark: The word Decidim translated from Catalan means we decide, and it’s the name of Barcelona’s digital infrastructure for participatory democracy. One part functional database and one part political statement, organizers say Decidim is key to a broad digital transformation that is taking place in Barcelona — its institutions, markets, and economy. 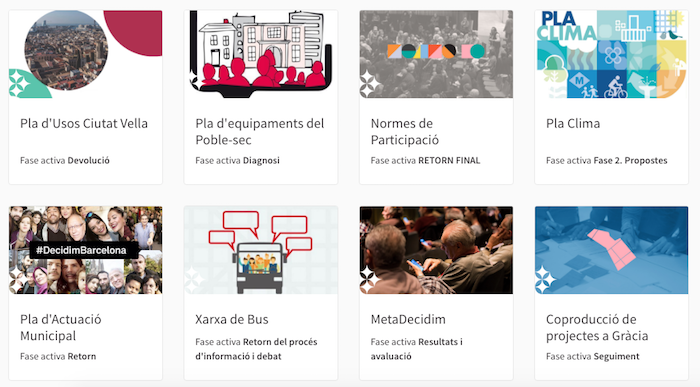 Organized by the Barcelona City Council, Barcelona’s citizens participate in a new digital commons, and its organizers hope that technology can improve democratic participation and foster good government. The open-source platform allows the public to participate directly in government as they would a form of social media, and they have had early success. The city council hosted several organizing events to decide on a strategic plan, and nearly 40,000 people and 1,500 organizations contributed 10,000 suggestions.